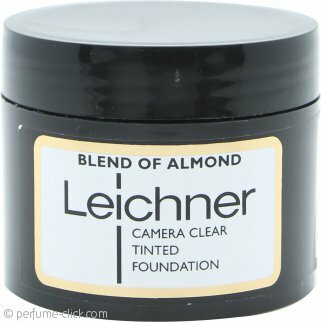 Camera Clear Tinted Foundation by Leichner is a range of professional stage make-up foundations. The heavy cream consistence gives a flawless finish. A little goes a long way with this product as it is thick and gives full coverage. This formula is not recommended for oily skin but will work well for other types. The cream is not suitable to wear over a long period of time as its main purpose is for use in photographic studios, television and theatre.